Online shop of mexican products and food - La Reina de las tortillas S.L. Approx. 25 tortillas per packet. This product must be kept cold and will incur an additional shipping fee (shipped to mainland Spain). Tamales with mole, a traditional and delicious Mexican dish which is enjoyed across Mexico. This product must be kept cold and will incur an additional shipping fee (shipped to mainland Spain). Keep refrigerated for up to 20 days. 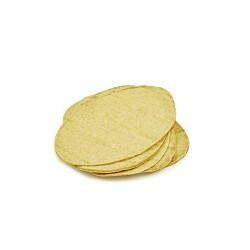 Flattened ovals of corn masa, a traditional Mexican base to make huaraches. Soft and delicious. Approx. 18 tortillas per packet. Approx. 35 tortillas per packet. This product must be kept cold and will incur an additional shipping fee (shipped to mainland Spain). Tamales with cheese and pickled green peppers. This traditional Mexican dish is enjoyed across Mexico. La Reina de las Tortillas was born 8 years ago..
We’re a family from Atotonilco el Alto, Jalisco that gradually came to Madrid. Once we reunited the entire family in Spain, the only thing missing was the food!! We’re very excited to introduce a new and improved space for you. Have you taken a look at our online store recently? What do you think of the new site? After several months of hard work, we’ve finally launched our blog and this is the first entry of many. We hope this will give you, our customers, another way to experience and share your thoughts and ideas on our delicious Mexican products. And that we bring you closer to Mexico too! Atención telefónica: Lunes a Viernes 10:00am a 14:00hrs y de 15:00 a 17:00 hrs. Horario de Tienda: Lunes a Viernes 10am-14hrs y de 15hrs a 18hrs y Sabado 10am-14hrs. Avenida de Cordoba 21, Nave 4, Planta baja (junto al gimnasio), c.p. 28026, Madrid España. © La reina de las tortillas. All rights reserved.